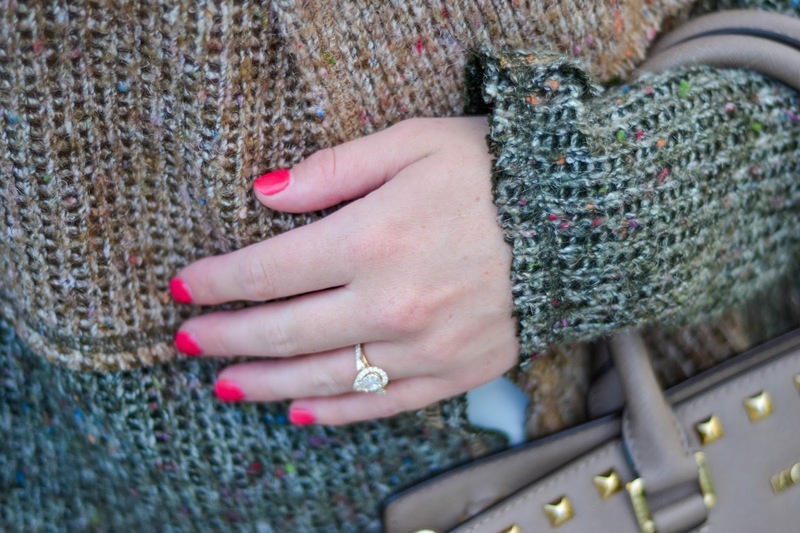 This has to be one of my most favorite looks for the Fall! 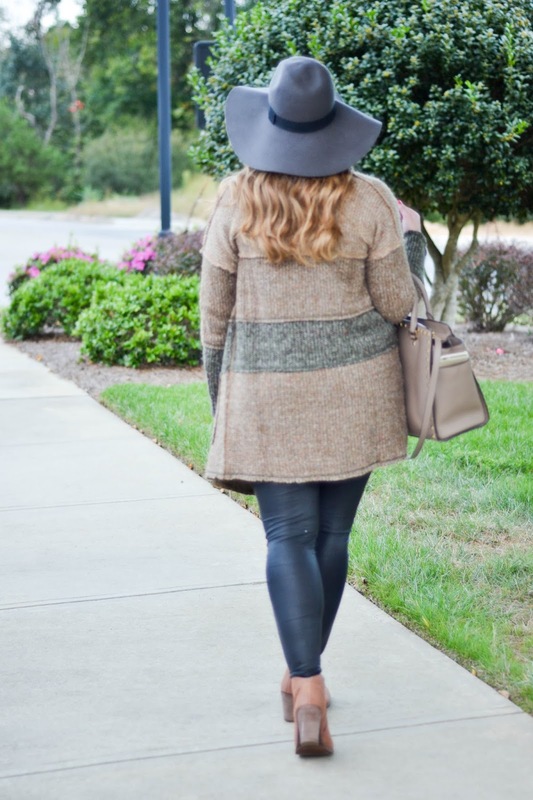 I love nothing more than wearing a comfy cardigan with some faux leather leggings, booties and a floppy hat! These faux leather leggings from Trouve are ahh-mazing. I bought them last season from Nordstrom and I am happy to see that they are back in stock! They have been washed and worn, washed and worn and have really held up. I highly recommend them! 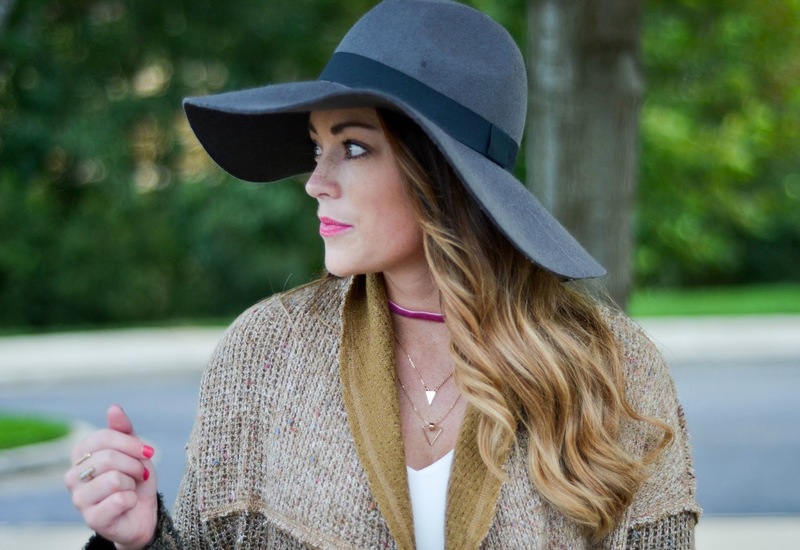 If you follow other bloggers and some celebrities, I am sure you have caught on that chokers are a big trend this Fall. Not sure if it’s your thing? Start off by getting one that is more feminine like mine here. I opted for this mauve pink velvet triple layered necklace for a simple and sweet touch. ASOS is a great spot for you to look for the choker of your choice. Just type “choker” in their search box and several pages of options will populate for you! Free shipping and free returns with ASOS as well!